As the mornings and evenings start darkening and the weather turns crisp and cold, my thoughts turn to chunky jerseys, thick leggings and woolen socks. Out come the beanies and hats and scarves from their summer exile, on go the electric blankets and orders for lovely kiln dried wood for the fireplace are made. I love Autumn. The picture above is the view from my front door! Isn’t it spectacular? Autumn is when nature puts on it’s most beautiful displays without flowers. Well mostly. I do know there are gorgeous autumnal bloomers, but I don’t seem to see them around where I live. The trees are something else though. I live in the countryside. My garden is bordered buy enormous trees that dwarf my home. At this time of year, they put on the most fantastic show of reds, oranges and browns. It is quite spectacular. Although, my husband just sees endless weekends of leaf blower activity! I spend hours in my garden cutting back the summer foliage, don’t worry-I enjoy this, and preparing my planting beds for the following spring by using the compost that has been steaming through the summer. Inside my home, I like to drape fluffy , fleecy blankets on the sofa. I put comforters on the beds and change the duvets for thicker, cozier ones. Summer clothes are pushed to the back of the wardrobes and replaced with rain gear, hooded jackets, and boots. When I get home on those darker nights from a chilly school run, or some or other sport event my children have participated in, I LOVE to light candles. There is something about candle light that is inviting, cozy and tranquil. I love how the light flickers on the walls and other decorative items in my home. I love the depth it gives to colours and shapes. Candle light even somehow makes me feel warm, even when I know that little flame could not possibly be making a significant difference to the air temperature. Staring into the flame is mesmerizing. What could be better than a candle? A scented one, that’s what! 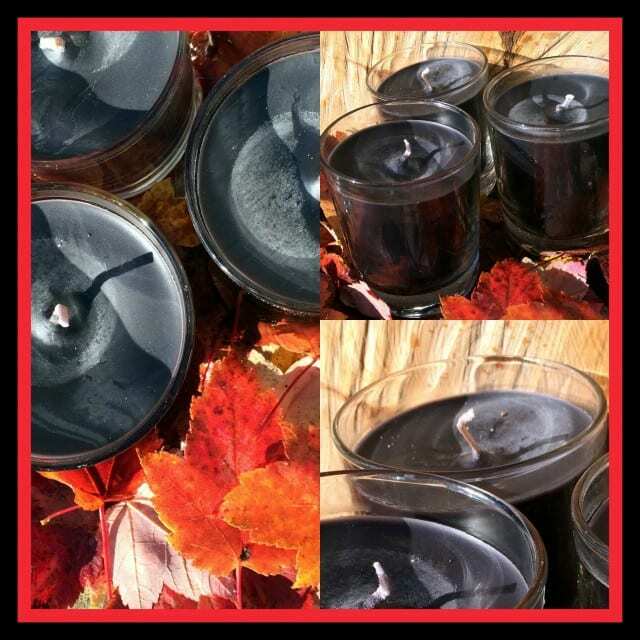 At different times through the autumn and winter months, I change up the candles I use, depending on the atmosphere I want to create. During Autumn, I like vanilla, pumpkin, apple, orange, coffee or butterscotch or caramel scented candles. Mmmm, just spotted a food trend here! In the Winter months, especially around winter, I enjoy cinnamon, chocolate, mixed spice, ginger, red berries, mulled wine spices, sandalwood and cloves. This year, I have been given some scented candles I have never tried before and since October has now arrived and I just had to light them! Being from Africa, I loved the idea of the candle called Tamboti Safari. It’s a caramel colour with a wooden wick! 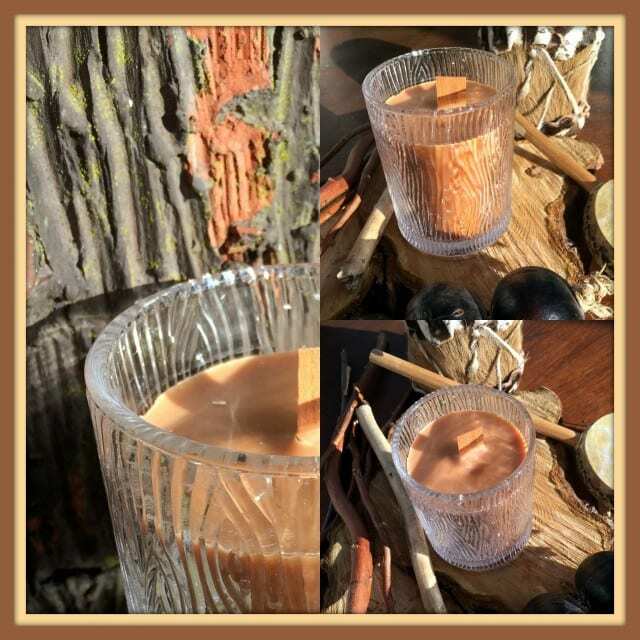 Have you ever used a wooden wick before? I hadn’t. It looks so earthy and natural. Just like the image the name had inspired in my mind. Now before you start guessing, it doesn’t smell like mud, elephant dung *giggle* or African grasslands (although that might be quite nice too). It has a very masculine smell of amber, cedar-wood, musk and spice. Well masculine to me. It reminds me of a classy men’s cologne or aftershave. Actually , it smells a little nicer than what my hubby wears…is there a way to roll him in this candle? Ah wishes. Anyway, it burns beautifully, and gives of that pleasing warm glow of a wood fire that I mentioned before. Oh and the glass jar it comes in, is textured in such a way that it reminds me of grasses or a stripy animal pelt. Perhaps a tiger or zebra? This means that is looks really pretty in a formal setting as well as naturally rustic in a more casual setting. I imagine it would be very pretty for outdoor entertaining on your table. Burn time: 40-60 hours. The Wild Strawberry candle sounded um, delicious? I’m not sure how much better a wild strawberry versus one I’ve grown in my garden smells, but this candle smells …delicious. I know I used that word twice, but it is honestly the best one for it. The gentle sweet scent of plump and juicy berries that fills the room is pleasant and not at all over-powering. That’s always a worry of mine when buying fruity candles. The beautiful flared opening of the jar, makes it a little more elegant than a straight-sided jar and looks great. Burn time: 40-60 hours. Finally, I tried the trio of black candles. This trio is called Forbidden Fantasy and in the pack are three tumbler style jars with pitch black candles. I figured this would be great for October and for my Halloween table. It doesn’t have a traditional Halloween scent, I know the company I got these from has Halloween candles too, but the colour of these just made me think of darkness, ghouls and goblins, witches and black cats. The scent is subtle. It has a softly feminine smell, in contrast to the safari candle mentioned before. Their website says: Explore the darker side of your passion with a trio of Forbidden Fantasy scents – Seduce, Desire and Tempt! Perhaps I need to save these for the bedroom? Burn time: 35-45 hours each. As you can see, candles play a big part in creating a warm and inviting atmosphere in my home, particularly over the colder months. I love how people take a deep breathe in when they walk through the door, how they exclaim “what is that gorgeous smell? !” I love the confidence it gives me that my guests will not be met by the less delectable odours that can hang about in ones home. Do you have any winter or autumn must haves in your home? 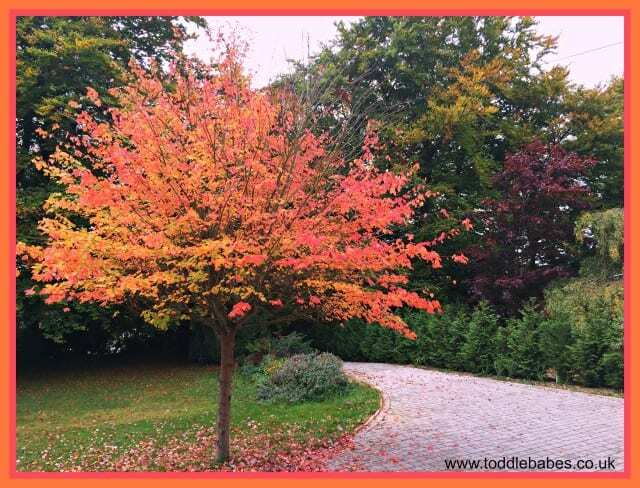 What signifies the start of the seasonal change to you? 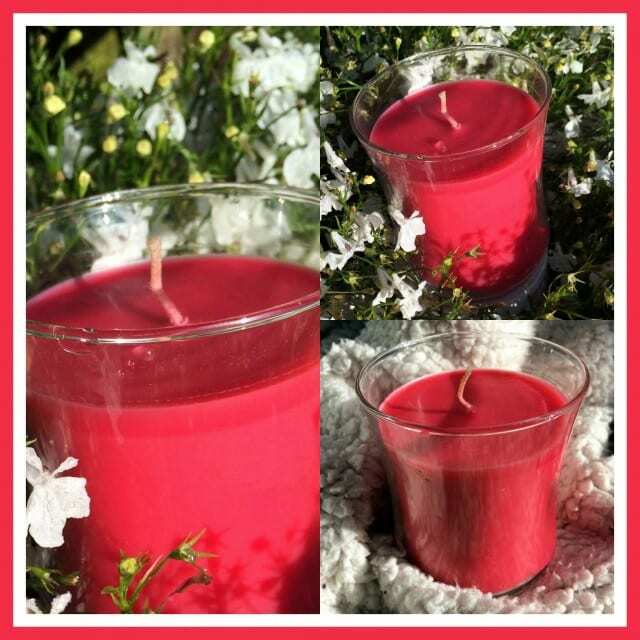 Do you have quirks that belong to a specific season..I’d love to hear what you do and if you’re also a fan of scented candles like me. As always, be sensible when using an open flame in your home. Keep them out of reach of children or pets, never leave them unattended, always remember to extinguish them, keep them away from furniture or fabrics that can catch alight, and make sure they are not burning to close (46cm or more please) to shelves or other objects directly above them.